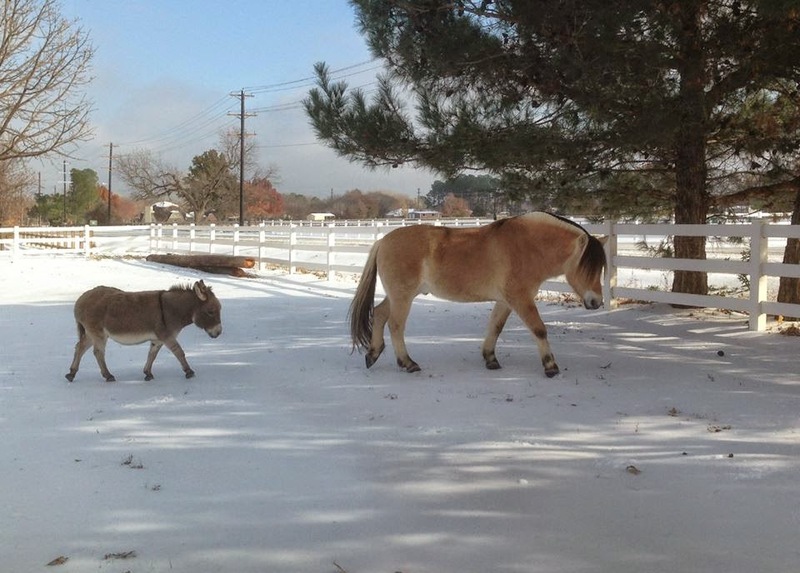 As you all know, Fjords and miniature donkeys are pretty much my favorite combo. Due to this, it was only reasonable to interview Cindy from Life With Oden because she owns a gorgeous Fjord gelding, Oden, and an adorable miniature donkey named Eeyore. Without further ado, here goes the first "Fjord of the Month" feature! Nicknames (if any): None. I thought I would call him Odie, but he is definitely not an Odie. How did you first get involved with Fjords and/or acquire Oden? My previous horse was an Andalusian, and particularly as I got older, he was way too much horse for me. The last time he threw me was the last straw. As I was recovering and contemplating that maybe it was time for me to get out of horses, I was very distressed. During this time, I saw a YouTube video of someone riding a fat, hairy Fjord towing a couple of kids on sleds, and I thought to myself, "I could ride a horse like that!" That was the first time I had taken notice Fjords. When I showed the video to my husband implying that it might be nice to have a horse like that, he said, "Really? You want a horse like that?" because it was so different from the Andalusians I had been smitten with for so long. I answered, "I want a horse I can ride and feel safe with!" Oden arrived about six months later. 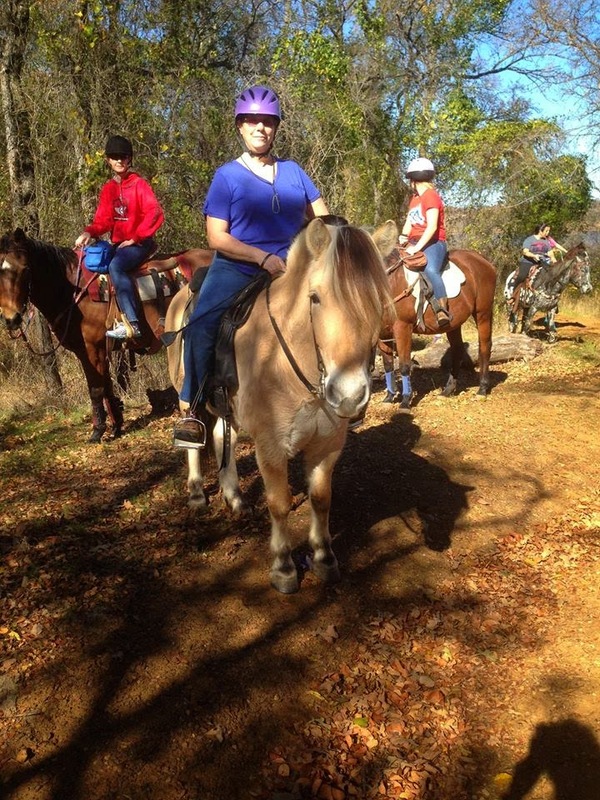 Just from your experiences owning Oden, are Fjords just like how you imagined they would be? I bought Oden sight unseen. I thought he would be smaller, sweeter, slower, and more teddy-bearish. He is very powerful, both physically and in his personality. When he walks up, everyone's eyes go to him. He looks like a teddy bear, but he does not have a teddy bear personality. He very confident. Very in charge. Very quick to let me know when I screw up, particularly if I don't serve the food quickly enough. He is not at all spooky. This goes right along with his confidence. He just marches out into the world without any concerns (or plans to stop). He can be very clownish and silly. He likes to grab things in his mouth. The first day he was here, he snatched my gloves out of my pocket and ran off with them. He likes to stick his head into everything, including into your personal space. He sighs when he's bored. He squeals before he bolts. He's a fascinating and interesting horse. Do you have any long term goals with Oden (ie: showing, trails, dressage, etc.)? I have had a long-term phobia of riding outside of my small pasture, and Oden is currently helping me with that. I still feel fear when we go out. Even on a nice, steady horse, of course things can go wrong. But I feel much safer with him than I felt with my previous horse, and that gives me so much freedom. We have just begun a training problem called Straightness Training, which is designed to help you teach your horse collection. Like many Fjords, Oden is very heavy on his forehand. I have high hopes that these exercises will help him develop as an athlete. What are some of Oden's quirks? •He bites me as often as he can. •He shoves Eeyore away from the food. I have had to rearrange my entire feeding program to ensure that Eeyore gets his share. •When he canters, I can feel the ground shake. •He has little interest in other horses, just in the grass they are standing on. •Under saddle, he prefers to move with his head down lower than his knees. Did you have Eeyore before you had Oden? How do the two of them get along with each other? Yes, I Got Eeyore about 12 years before I got Oden. My previous horse, the Andalusian, was super sensitive. When Eeyore flipped his tail, that horse would back up and prepare to flee. When Oden arrived, Eeyore and I were both surprised that Oden seems oblivious to these kinds of signals -- whether from donkey or human. Oden is very big, and drawn to food like a magnet. If Eeyore happens to be in between him and the food, Oden will go right through him without a thought. As Eeyore is a miniature donkey, he became very intimidated by this. So, no, I would not say that they get along by nature. Oden is not sweet and retiring, so it is not easy for little Eeyore to deal with him. But we have all adjusted to each other. If you'd like to follow my life with Oden and Eeyore, come over to Oden's Facebook page which is "https://www.facebook.com/LifeWithOden." We have a lot of fun together! I hope you all enjoyed this feature of the Fjord of the Month! This feature will take place on the last Friday of each month. 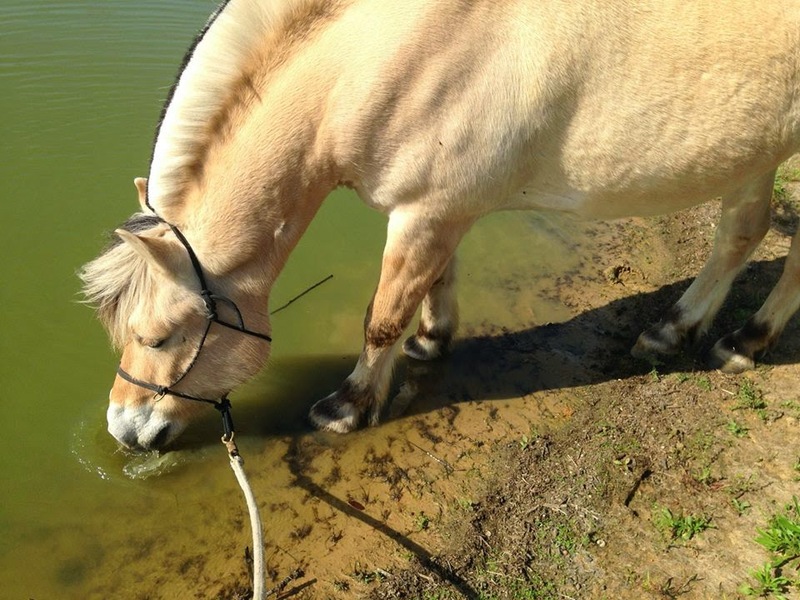 If you are interested in having your Fjord featured, please email me at themoodymare(at)gmail(dot)com. I know, he reminds me a lot of Ypke! He sounds like a lot of fun! 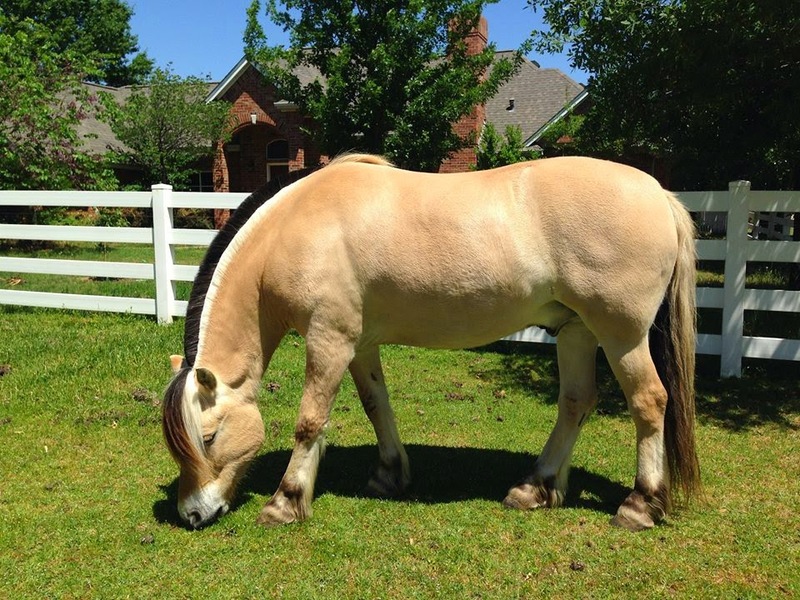 I kind of want to get a Fjord. 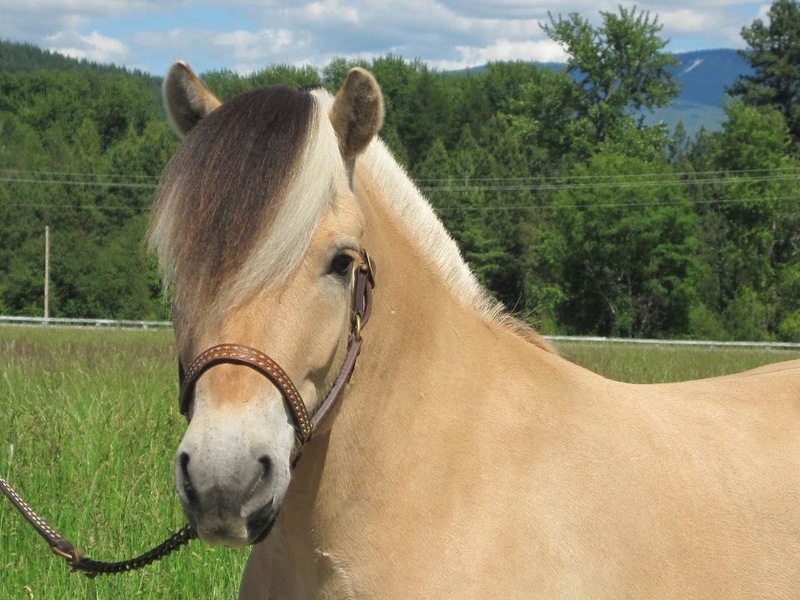 I think one would complement my Haflinger's personality very well. Oden's personality seems a lot like Ypke's. Maybe all Fjords share the same quirky traits. It will be interesting to read your next Featured Fjord to see if he/she is similar. They do seem pretty similar, don't they? It would be interesting to see how the Fjords all compare as far as their quirky traits go! loved the feature! 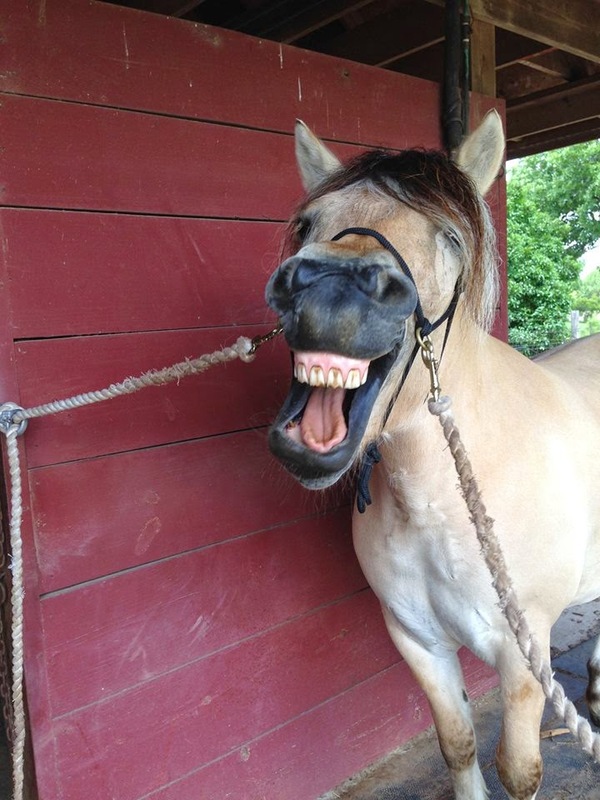 fjords seem like silly fun loving horses.